Why Do You Choose This Timer Outlet? Traveling, or out of home, a setting which randomly turns lights on and off over a period of time to prevent the thief coming in! If you don't want to get up too early in the morning, you can set a schedule for the appliance to make breakfast. After getting up, you can enjoy the delicious food immediately! Cellphone charging overnight, it will not only affect the lifetime of the battery, but also may happen an explosion. But if you use this time switch, only need to set a countdown before sleeping, it will turn off the power when the phone has been fully charged! 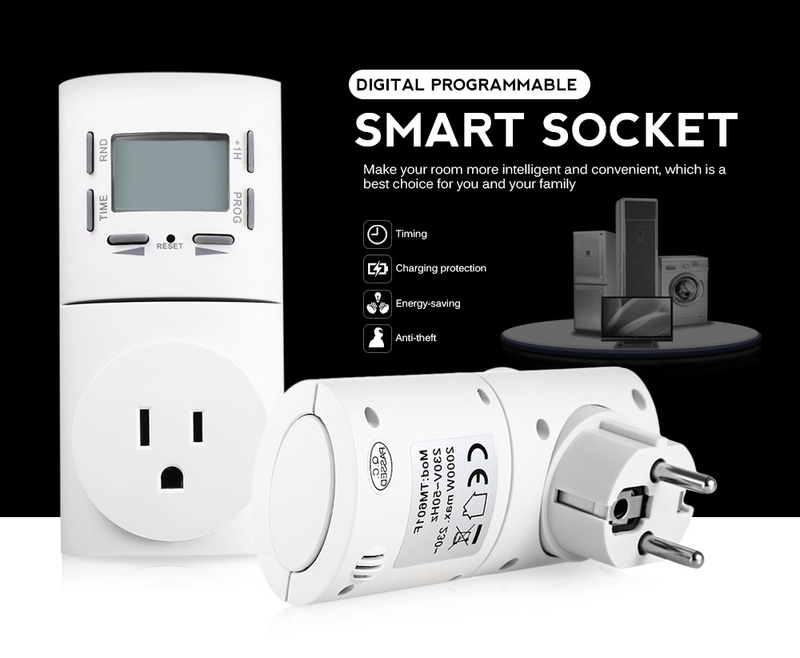 With this timer switch, you can set up 8 different ON / OFF programs in one day and 56 different programs over a week. Each event can be set to occur on a specific day. 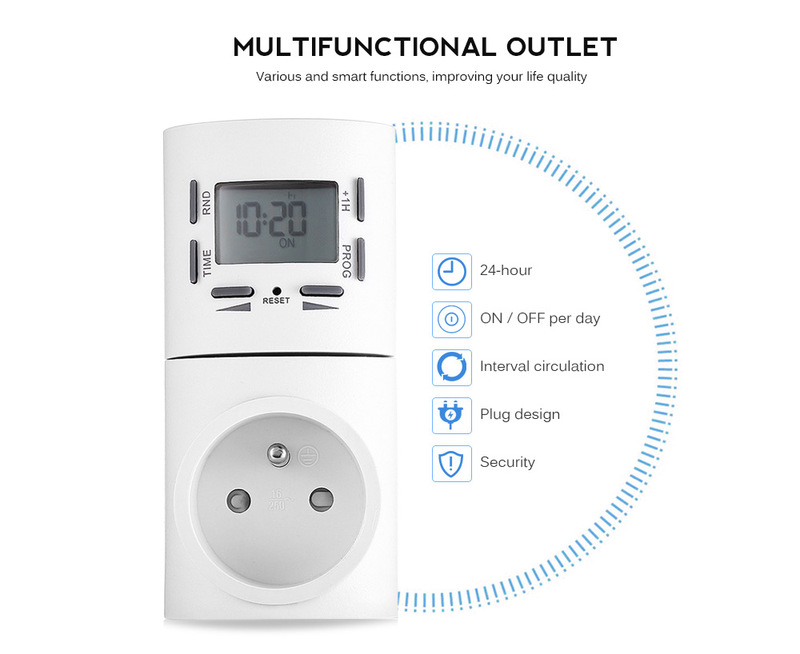 This timer switch outlet allows you to set programs for individual days or various combinations of days. 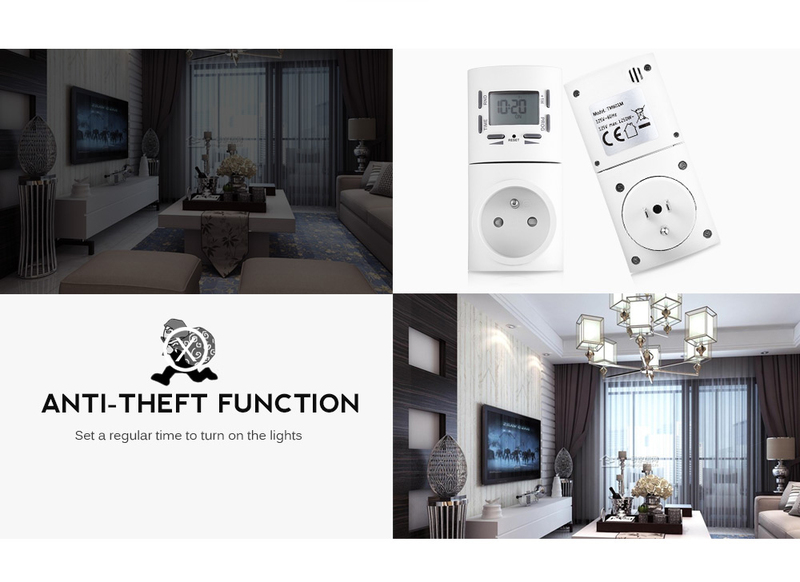 The random time setting lets your lights and other electrical devices go on or off randomly to keep potential burglars away as they will think you are at home. It is good for anti-theft during your vacation. 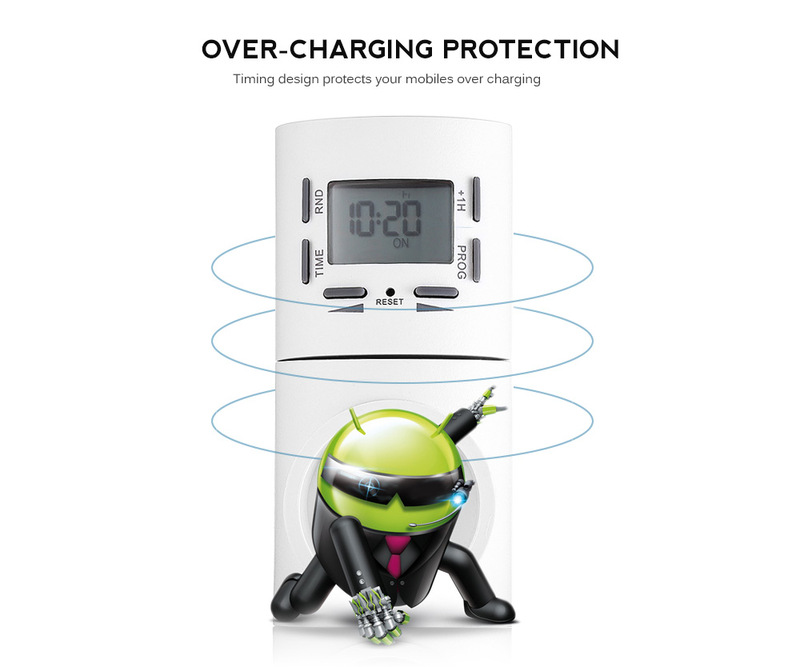 This timer outlet is perfect for charging devices, home lights, fans, Christmas trees and other electrical appliances. 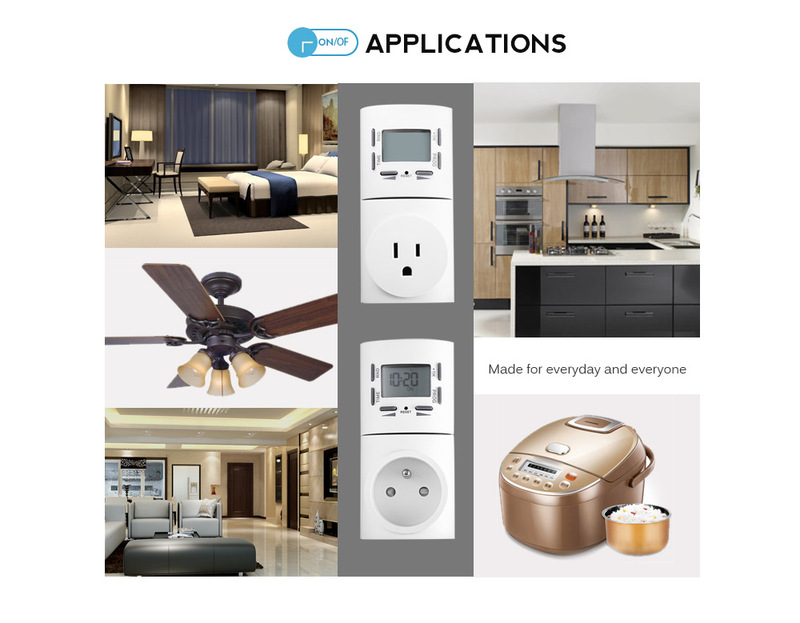 Moreover, air-condition, humidifier, coffee pot can be also set to turn on / off automatically, which save energy and make your life more convenient. 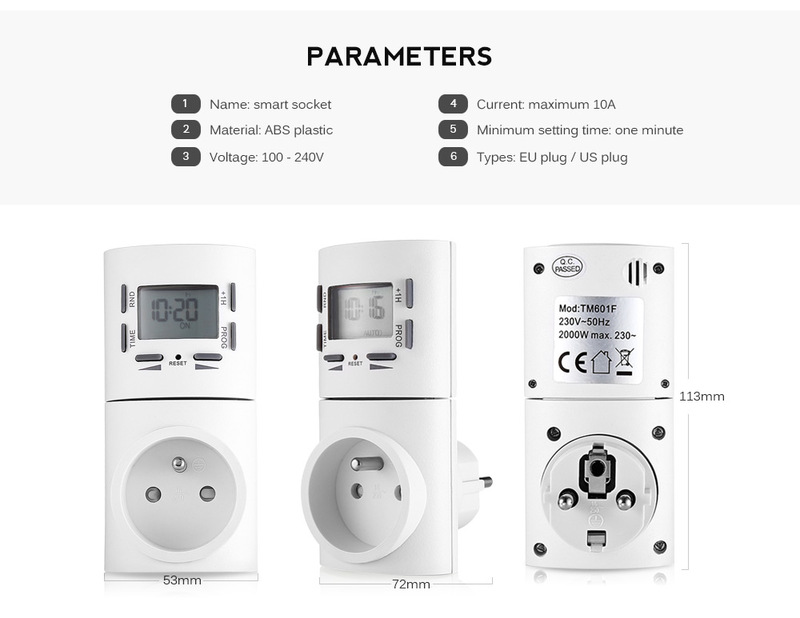 This electric timer has an internal battery backup, so you don't worry about the sudden power cut! The program is still on working even the power outage. The plug-in design makes you at ease as it provides a practical way to manage device activity via a power outlet.